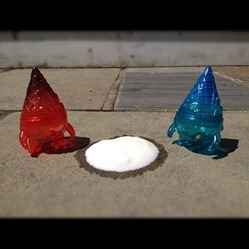 At the beginning of the month, we started the Vinyl Pulse Toy Shot feature on Instagram. Each week we post a fun theme and ask vinyl toy addicts (that’s you) to shoot and post toy photos matching the theme. To add to the fun we’re offering a prize for each week’s best photo as chosen by the VP staff (better known as Jack and Kris). This week’s theme is ‘Summer Sun’. We’re looking forward to seeing shots of your toys enjoying the lazy season. For July, the hash tag to use and check is #vpjulytoyshot. So what happened to weeks 1 and 2? Glad you asked. For week 1’s ‘4th of July’ theme, the winner was @bardenpho’s clever melting Milton riff on the good ‘ol ‘red, white, and blue’. 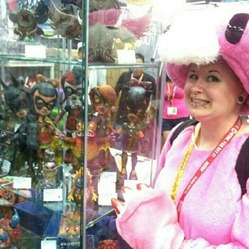 For week 2, the theme was a combo of SDCC or Monsters for those not at the mother of all ‘cons. 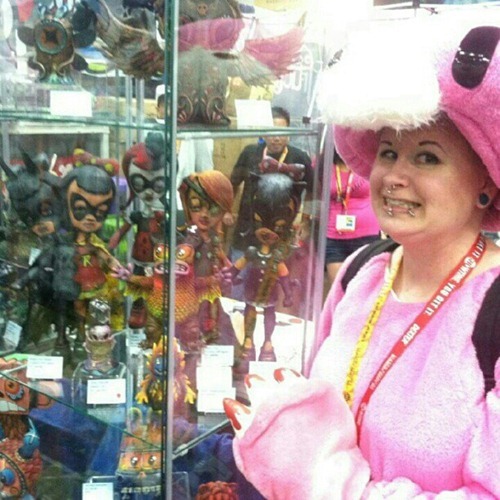 For capturing the essence of SDCC with the shot of a smiling Gloomy Bear cosplayer next to a case full of customs in the Dragatomi booth, @kimmaaahh is week 2’s winner. Each winner will receive a super awesome King Ken blind-box mini-fig. Hit us up on twitter (@vinylpulse) with your address, and we’ll get those out to you. Thanks to all who took the time to snap a photo and post it to instagram. Haven’t joined in on the fun yet? No prob. Just rock a toy photo that fits the ‘Summer Sun’ theme and post it with #vpjulytoy shot by the end of this week (7.14). A blind-box King Ken and eternal fame (well…. kinda) awaits the person who posts the best shot.